It was late summer 1994 and after completing the usual immigration formalities we left Zambia and entered Malawi. I had crossed many African borders by land, some uneventfully and straightforward, others a long, drawn-out affair of bureaucracy, document-scrutinizing, possession-searching and bribe-hinting. This crossing had thankfully been the former. As we drove away from the border, almost everyone we passed raised a peace symbol accompanied by broad smiles and cheers. Shopping in a market later that afternoon I asked why everyone had been giving us a “V”. 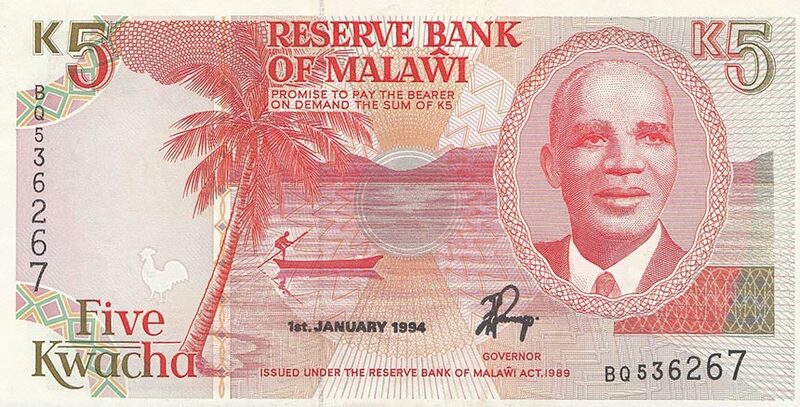 Since gaining independence in 1964, Malawi had largely been a one-party state ruled by president-for-life Dr Hastings Kamuzu Banda. The authoritarian Banda was a peculiar dictator who had boasted one of the continent’s best records for education and women’s rights even while allegedly having as many as 18,000 political opponents jailed, tortured and killed. I had long felt mixed emotions about visiting countries with poor human rights records. On one hand I didn’t want to aid and abet the oppressors while on the other I really wanted to see what was going on for myself. However, upon sharing in the euphoria of the Malawian people as they glowed in the aftermath of democracy, it occurred to me just how important it can be for people in oppressive countries to see, mix with and talk to people from other countries. Unfortunately, the world is littered with human rights violators. Some are obvious and regularly feature on the front page of the news, while others are perhaps more subtle but no less insidious. There are countries with abysmal records for women’s rights or which turn a blind to—or even promote—the abuse of children. Some ritually abuse indigenous people, the disadvantaged or foreign or domestic workers while others deny homosexual rights or freedom of expression, religion or the press. Yet despite their grave records, some of the worst offenders still manage to attract millions of tourists a year, thereby putting billions of dollars into the countries’ coffers and conceivably helping to perpetuate the mistreatment. For travellers with a conscience, the most straightforward answer is not to visit any country with human rights issues. Sadly though, that’s rather a simplistic response. We all know who the worst of the worst perpetrators in the world are, but what about other countries that fall woefully short in perhaps only one specific area? If we restricted our travels to only those nations that have never raised the ire of Amnesty International or a U.N. report, we likely wouldn’t travel anywhere and technically shouldn’t even stay at home. I personally believe that responsible, informed and intelligent travellers make a difference wherever they go. Yes, visiting a country with a bad human rights record does aid regimes financially and—in the eyes of the despots at least—the mere presence of visitors may even legitimize their rule. But while travellers may not bring about revolution, wise travellers can make a difference. If we allow ourselves to see beyond cleverly stage-managed displays and the memorized party-lines of official government guides and witness what life is really like, we can form our own opinions and not simply subscribe to those of our own government or media outlets who may well have their own agendas. Sadly though, I’ve encountered many otherwise intelligent people who’ve taken the bait and returned from visiting countries with dire human rights records only to rave about the quality of life there. While it can be difficult to see the real story and form an accurate opinion while on a brief holiday, simply visiting a country can have a positive effect on the very people whose well being concerns us. I have tremendous respect for those whose peregrinations are dictated by their moral compass. Not for one moment would I suggest that everyone vacation at their nearest dictatorship, but I do believe that there can be genuine social value in visiting some of the world’s less pleasant societies. We must all come to our own moral decisions of where we can and cannot venture, but I genuinely believe that responsible travellers can provide some comfort to those who are struggling and even, possibly, help to ultimately bring about positive change.